Welcome to Codiac Chiropractic Centre! A Moncton chiropractor that changes lives! As a Moncton chiropractor, I take pride in striving to offer the most comprehensive and up-to-date chiropractic care possible. In fact, our willingness to volunteer information and explain every chiropractic procedure in advance, is often mentioned by our delighted patient. Why? Those who know what chiropractic is-and what chiropractic isn’t, seem to get the best results in the shortest amount of time. We’re looking to help Moncton-area residents who value their health and want a chiropractor who offers peace of mind. Ready to get started? Your best interest is our only interest. We look forward to meeting you to see how we can change your life too! I am passionate that chiropractic will change your life. 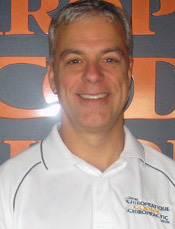 Call our Moncton chiropractic office today to schedule an appointment with Dr. Francois LeBlanc. It was a great experience. Exceeded my expectations. Very pleased with the services received during my first visit. I wish I could have found this chiropractic centre sooner. I received more examination than expected. I felt respected, I appreciate that there was no waiting. I immediately felt comfortable with Dr LeBlanc and Terry. The office is clean, tidy and bright. From the time I was greeted at the door to leaving it was an overall positive and informative first visit. Thanks for listening!